Create a box text with secret code to enter. Hi, it's possible to create a text box that can only accept some secret code, previously communicated through mail for each user? We could help you further, but we need to learn more how your process flow works. Hi, the text box shouldn't be hidden, but must accept only few numbers. 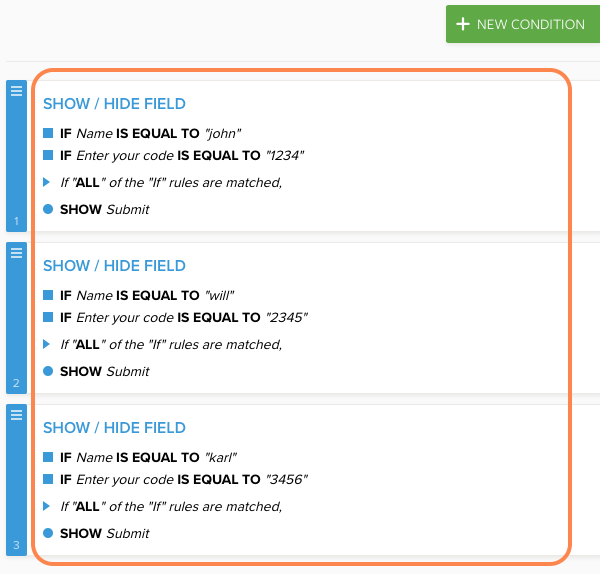 The purpose of this is to create a box that check Unique Validation Code, previously assigned to each user. 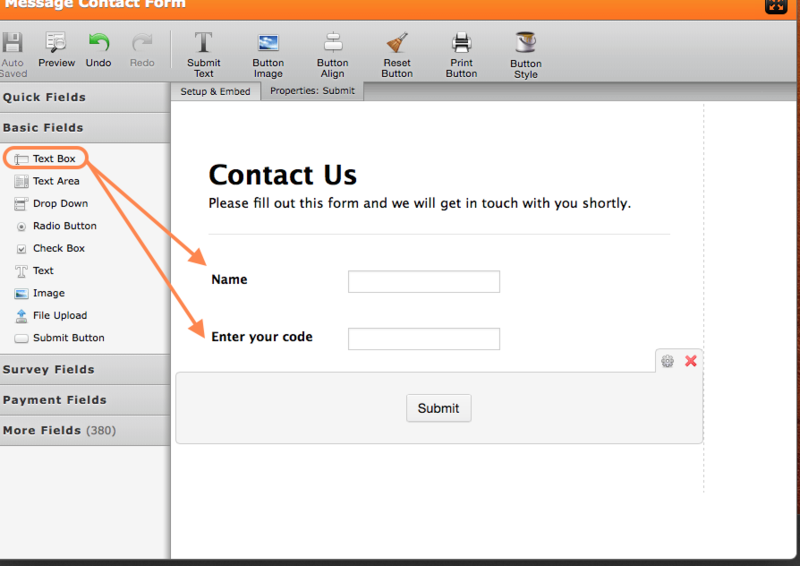 Every user must enter his own Code to fill the form, without the right Code isn't possible to complete the form. The text box only accept this three Code. Thank you for providing more information about your issue. Actually, it is possible with creating a condition. You can clone your demo form.